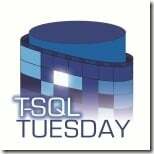 This month’s T-SQL Tuesday (hosted by Kenneth Fisher – @sqlstudent144) is about security This hasn’t been my area of expertise for a long time, although I did write a long TechNet Magazine article about common security issues and solutions back in 2009. There’s a huge amount that’s been written about implementing security in SQL Server and Windows – working towards the security of the data while it’s in the database, being sent to the client application, and within the client application. This can be incredibly important for your business and your clients and so the focus there is justifiable. However, I think there’s an aspect to data security that’s often completely overlooked: physical security. Are the servers running SQL Server physically secured so only authorized people have access to them? I’m not just talking about whether someone can walk out with a server under their arm (and then get the hard drives with the data on – the actual server hardware isn’t a physical security risk if there is no data storage in it), although this is something you should consider. I also want you to consider whether an unauthorized person can walk up to such a server and insert a USB drive that could have an auto-run program on it that installs some kind of security hole. And what about if the server has server-local storage? An unauthorized person could grab a hard drive from a server and clone it really quickly, maybe overnight so no-one’s available onsite to see why the server went down. Here‘s a link on Amazon to a machine we use for quickly cloning laptop hard drives when we upgrade them. Really useful, but also useful in the hands of someone with nefarious aims. Are there cameras monitoring all of the above? For the questions above, now ask them about your failover data center. And what if you data center is hosted? Does the hoster guarantee physical security of your data? Now let’s think about your admin users. What kind of physical security protects the desktops of the people with secure access to the data? Is it possible for them to walk away and leave their screen unlocked? Is it possible for someone to walk up to their computer and plug in a USB drive with some auto-run software on it? Now let’s think about your admin users’ laptops. Same questions as above. What about if they take their laptops home? Or they use their own systems at home? Are they physically secured so someone can’t access your data from these people’s systems? Still think your data is secure? My friend Wayne Sheffield (b|t)is hosting T-SQL Tuesday this month and it’s been a long time since I’ve taken part (wow – since January 2011!). His theme is about how you’re going to give back or continue giving back to the SQL Server community in 2015. 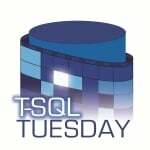 I’m going to talk about stuff we at SQLskills do in the community, in the spirit of the T-SQL Tuesday theme, not as any kind of marketing or self-aggrandizement. We do a lot (I think) for the SQL Server community, both because we’re just nice like that :-), and because we appreciate the people in the community as they provide our livelihood. To be honest, for me it’s mostly because I like helping people with SQL Server problems. It’s like an irresistible urge when I see someone with a problem I know how to help with. Remote user groups. I had this mad idea to do remote user group sessions for anyone that asks – so we’ve currently got 49(!) remote user group sessions scheduled in 2015 at user groups in the US, UK, Ireland, Belgium, Netherlands, New Zealand, South Africa, Israel, Australia, Canada, Poland, and PASS virtual chapters. I’m personally doing 20 of them. Check if your user group has signed up, and if you’re in a country not listed above definitely hit us up for a session. See here for details. I’m putting together a comprehensive web encyclopedia of all wait and latch types that exist, across all versions, slated to go live in January/February. Shoot me an email if you’d like to help provide data (involves installing debug symbols and XEvent sessions on your prod server). That’s going to be cool! As Wayne says in his blog post, I encourage you to give back to the community. We’ve got one of the best technical communities in the world – I know we’re the envy of many others. Thank you to everyone who blogs, tweets, runs/speaks at/attends user groups/SQL Saturdays/PASS – long may we all continue!